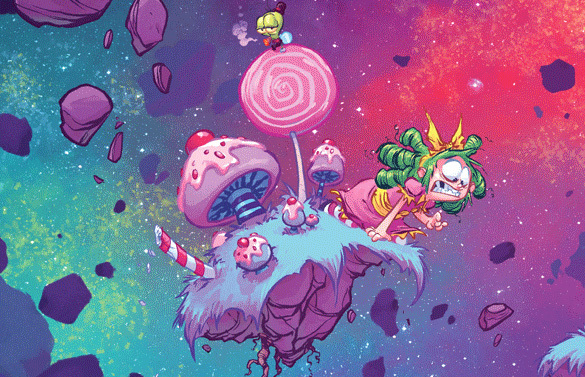 I HATE FAIRYLAND #10 Review | Warped Factor - Words in the Key of Geek. 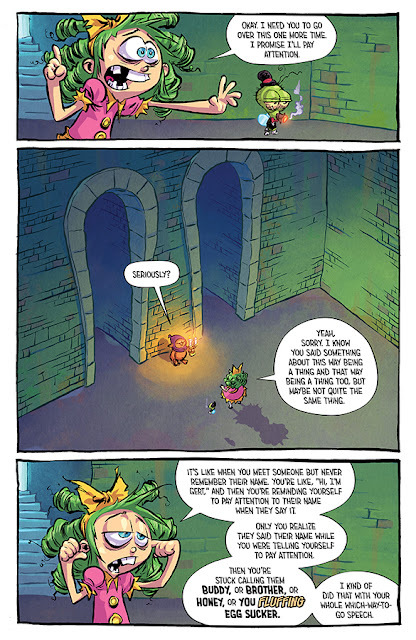 Issue #10 of I Hate Fairyland see Gertie having to make a choice. What a surprise she wasn’t listening to the clues as to how to choose. The right choice will lead her to all her dreams coming true, the wrong one will take her into DARKNESS. And all the flames of Fairyland will not save her, they will only help drive out the light! Next page, guess what, flames and destruction, and a giant dragon striding over the landscape. Guess Gertie chose unwisely. 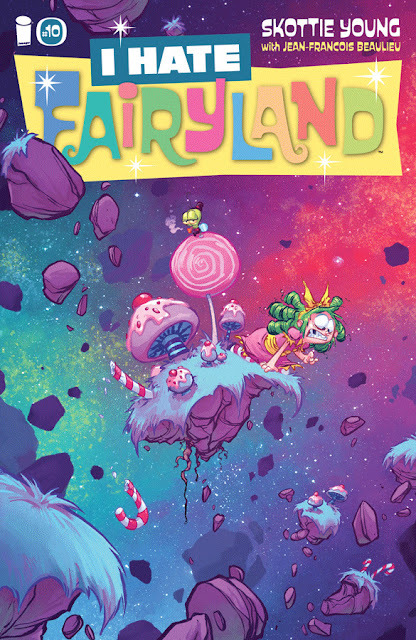 It’s the end of Fairyland! Well, no, okay, of course it isn’t. Larry has a cunning plan - and we all know how well cunning plans work out. This is another fun run, with some different views to consider and enjoy. Gert is Gert and nothing is changing that. I enjoyed this issue, there's some really creative use of absence, and a total absence of sense in some spots. It's fun and well worth the read. Four out of five this time.